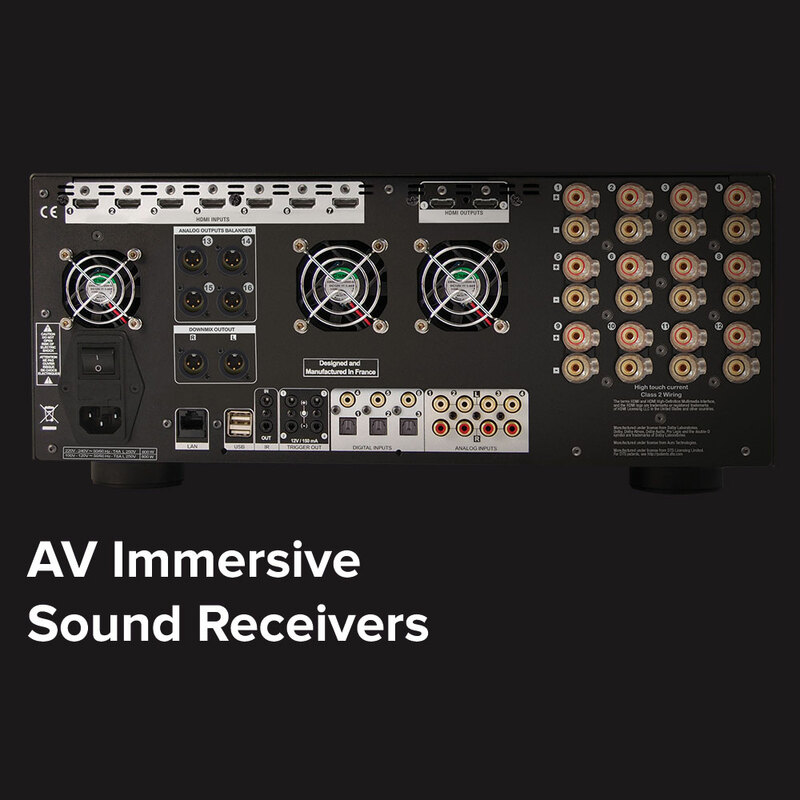 Storm Audio delivers superior audio electronics that support all existing and future leading sound formats, such as Auro-3D®, Dolby Atmos® and DTS:X™. Designed for the most demanding customers, the products offer "best-in-class" performance, versatility, extreme reliability and the most advanced market features. The brand's products are available through a specialized distributor network worldwide, with a focus on customer services and technical support. The Storm Audio line is designed and manufactured in France, and is the primary brand of the Immersive Audio Technologies Group. 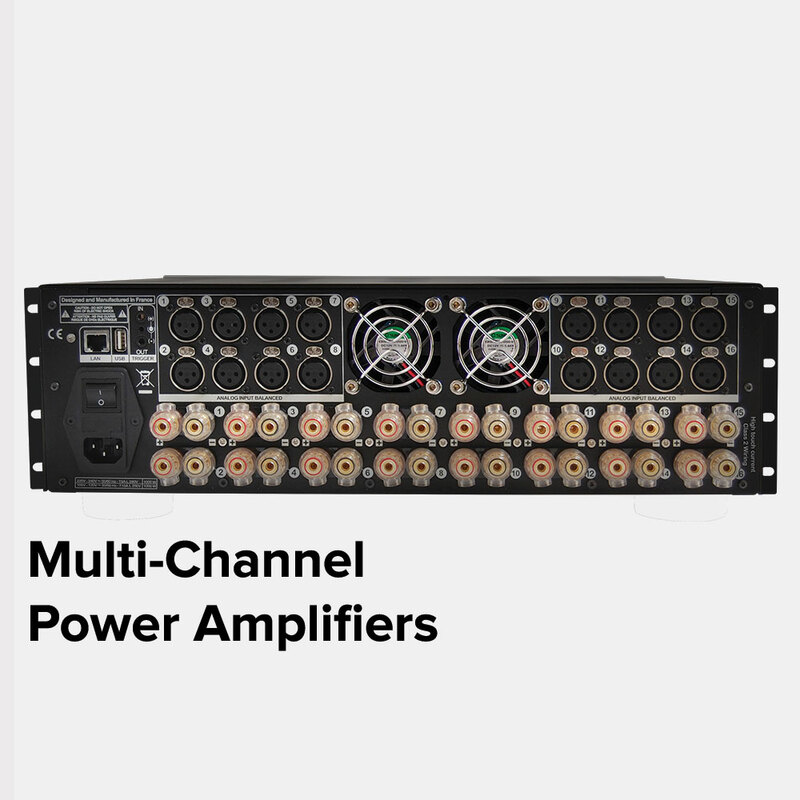 The StormAudio multi-channel power amplifier range provides audiophile grade, high-power amps for home theaters and multi-room applications, with various channel counts. The entire PA product line shares the same proprietary architecture in a compact 3U chassis, with identical control and custom install functionalities, as well as high-profile audio specifications. "With pricing potentially far less expensive than sonically competitive products, the ISP 3D.16 ELITE preamp/processor and PA 16 amplifier have a significant competitive advantage. The modular design, with plug-in expandability options and design/construction, to 24/7 operation standards of reliability, mean that the StormAudio products will be among the few that can be updated for years to come to stay current with new audio developments for music or movies. Highly recommended."